(a) Connect the 3 connectors. 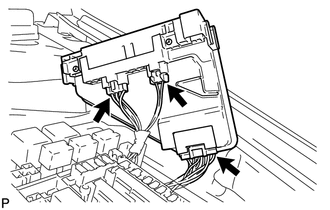 (b) Engage the 2 claws to temporarily install the power distribution as shown in the illustration. 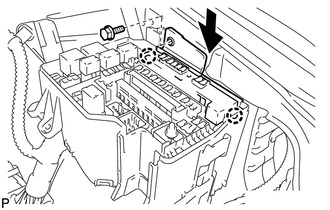 (c) Install the power distribution with the bolt.